Extenda has been providing complete communications solutions for Southern California businesses since 1969. Deploy your telephone system in the way that suits your business. Whether that means hosting your Mitel, Zultys or NEC system in the cloud, installing the system on your network, deploying virtual machines in your cloud or our secure private cloud, or any combination of the above, we can provide you with the solution to your challenges without any compromises. 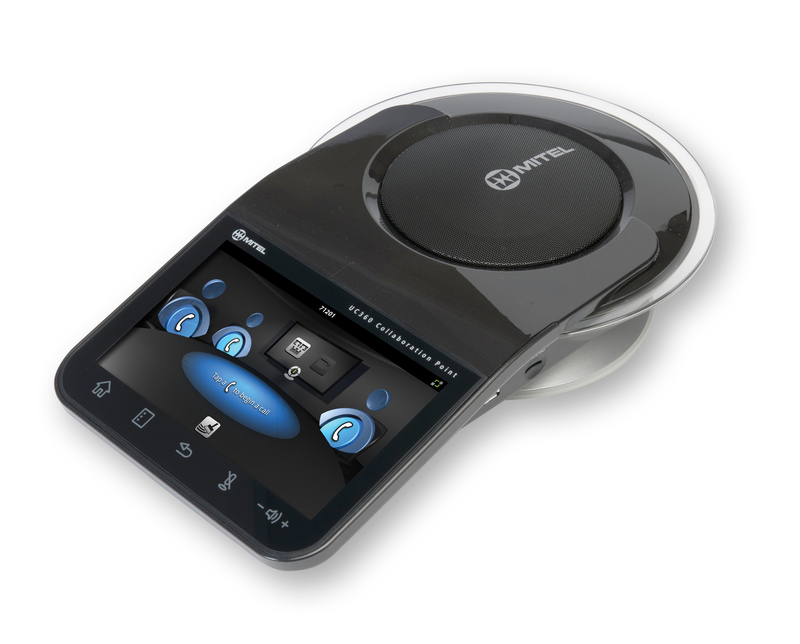 Whether we are deploying an all-in-one Zultys solution that is a true real-time communications hub, or a sophisticated Mitel enterprise-grade communications infrastructure, or even an NEC system for your home or small business, we are providing solutions that are easy to use, allow for sophisticated integrations to smart phones and business-critical applications, and that you will be glad you bought for years to come. Whether we help you move to the cloud or provide a comprehensive telecom managed service, getting under the hood of your phone system is a relic of the past. We can provide you with automatic backups, off-site storage, disaster recovery and internet-based phone service so your business is never out of touch. Our systems extend the power of the office phone system to your desktop and smartphone. We connect all these devices together into one seamless experience for you and the people calling you. Give out one number on your business card instead of three or four. Check one voicemail instead of juggling different PINs and devices. Share one global contact list across your company, and synchronize your business contacts to a single list you can check from any device. Let our systems intelligently route calls to you, from wherever you are, whatever your status. 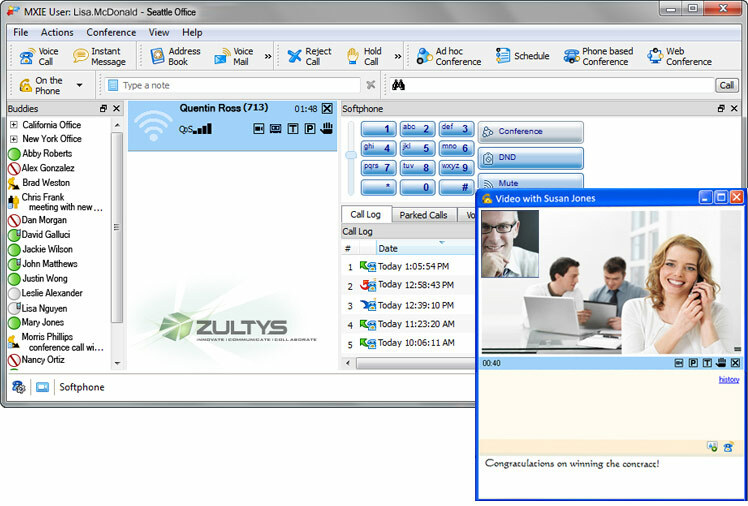 We can even automatically change how calls are routed to you based on appointments in your Outlook or Google Calendar. 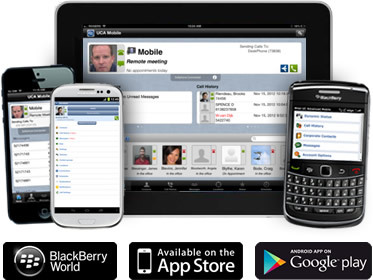 We have apps for and support Windows, Mac, Linux, iOS (iPhone and iPad) devices, Android, Blackberry and basically any other device with a browser and an internet connection. We even support virtualized and remote desktop applications. None of have the time to add complexity to our desktop and workflow. We provide simple integration to popular apps, so that you can dial from a screen, integrate the phone system to your backend database, or use products like Salesforce.com and other leading CRM tools to control your telephone. Our solutions leverage your investments in technology, and feature built-in toolkits and APIs for integrations to custom applications and more specialized business software. Right at your fingertips, our communications systems provide videoconferencing, desktop sharing across the internet, instant messaging, fax-to-email, voicemail-to-email, voicemail transcription to your email inbox, multiparty conference calls, call recording and documentation, paging, SMS, emergency response systems. We only still call them telephone systems because 'multimedia real-time communications servers' doesn't fit on a business card. Copyright © 1997-2019 Extenda Networks, Inc.